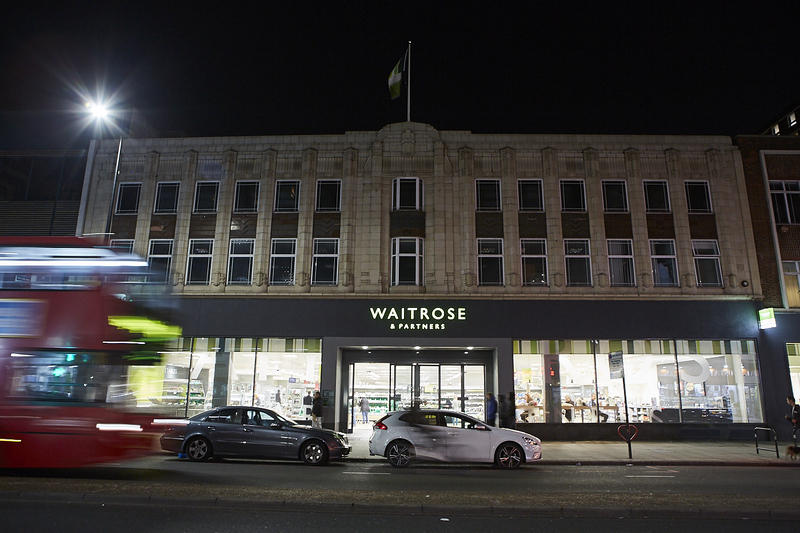 We’re proud to announce that the John Lewis Partnership has chosen Waitrose Edgware Road as one of only three stores in the nation to be rebranded with the new Waitrose & Partners and John Lewis & Partners branding, as part of the company’s five-year rebrand rollout. Choosing Edgware Road as one of the key locations to introduce the new brand emphasises the importance of our local customer base, as well as the area acting as a gateway for different parts of London. From Edgware Road to Mayfair, Kensington to the West End, the Marble Arch area is the nexus. The new branding was unveiled at John Lewis’s flagship on Oxford Street, as well as Waitrose in Edgware Road and Clerkenwell alongside its websites. Unveiling yesterday, the new Waitrose & Partners launch on Edgware Road featured countless samples and activities, the all-new brand identity and a new sushi counter. The new visual identity – which spans across all media, products and services – is the department store and supermarket’s first rebrand in 18 years.